The Citizen Eco-Drive Proximity is a smart watch which requires zero wires to charge. Powered by light, the Eco Drive Proximity is compatible via Bluetooth to iOS and Android. Features include a perpetual calendar chronograph, dual time, alarm and power reserve. Also includes visual and vibration alerts and phone search/filter. 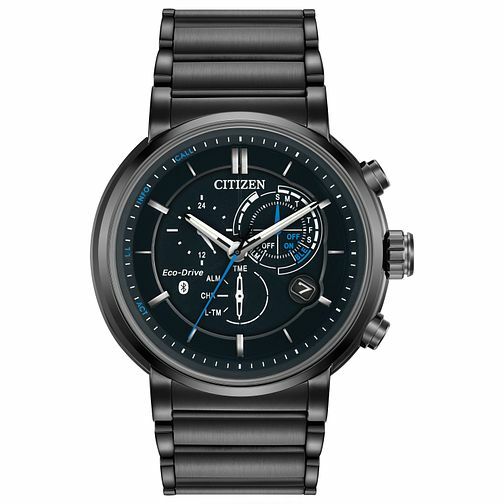 Citizen Eco-Drive Proximity Men's Ion Plated Smart Watch is rated 2.0 out of 5 by 1.